“Crispy, Fluffy, Chewy” – OFUYA’s handmade FUGASHI. “FU” is well known as Japanese traditional organic food, made from wheat protein and flour. “FUGASHI” is like a baguette but very soft, light and sugar coated.It’s true that all the Japanese know this traditional snack but it’s not known worldwide yet. 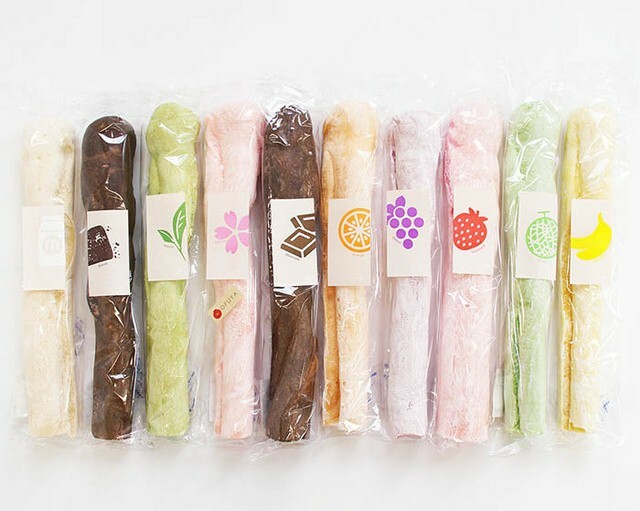 OFUYA gives the colorful flavored handmade FUGASHI. You are so lucky to find this because you can only find this size of FUGASHI in SHIZUOKA and KANTO region. Let’s try and have FUn your Japanese travel with this! ※Each pictures show you the flavors. Copyright© 2015 ofuya All Rights Reserved.